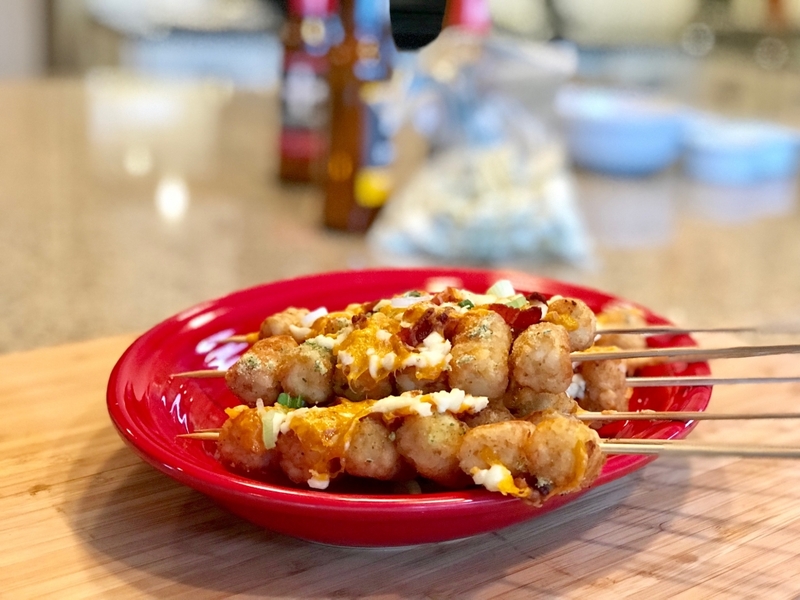 Not just any tater tots; but loaded tater tots, on a skewer. Cook tater tots according to directions until golden brown. Let cool for approximately 2-3 minutes until you can skewer them onto the skewers. Place 6 per skewer. Once on the skewers, place back on baking sheet. Sprinkle ranch seasoning over each of tater tots. Then top with bacon, cheddar cheese, and Ranch Cheese Curd Crumbles. Put into the oven for an additional 10 minutes until the cheese is fully melted and golden. Remove from oven. Serve with sour cream or ranch dip.